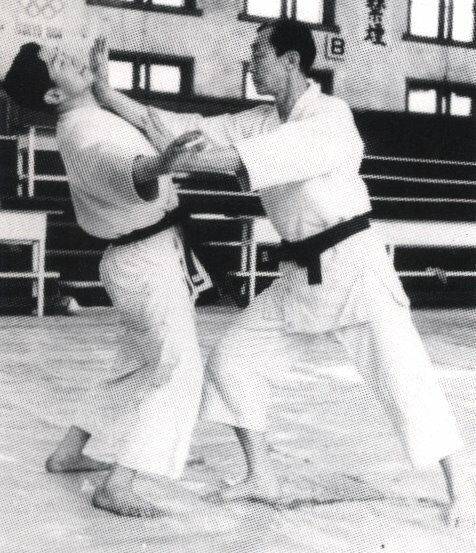 Tomiki originally envisioned the tandoku undo of aikido as a "Judo taiso" or a sport-specific warmup. Kumikata and Hanasu have the same purpose and a great overlap in skills. Suwariwaza and newaza are just different modes of groundwork practice. Roy Dean (BJJ and Judo guy) has had some success with working the tekubiwaza (for instance) into BJJ. By "judiciously" I mean, we should not necessarily pile all of judo and all of aikido into one pile and do all of it together, because not all of each art fits well with the other. It might take some time to figure out where each piece of the puzzle fits, but I say we should be working toward shifting more material into the intersection set.